This contest started on 1/25/19. This contest has a winner. * Win A $20 Olive Garden Gift Card. Jeff Eats got a $20 Olive Garden Gift Card Gift Card to give to one of you guys! 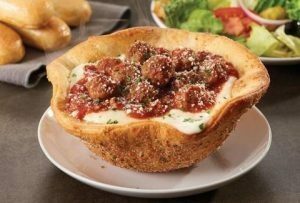 The $20 Gift Card is good at any Olive Garden location (check olivegarden.com for locations, menu, info). I find it tough not to get filled up on salad and breadsticks before the food comes. This is a good prize.